It is always a good idea to go with a cryptocurrency exchange that has a good reputation and a large number of loyal, satisfied clients. However, when faced with the difficult task of choosing between two such exchanges, it is time to take a closer look at all the aspects of the services they provide. 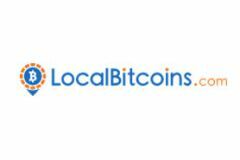 The following Coinmama VS LocalBitcoins comparison is designed to help you make a quick, safe, and smart decision. We base our cryptocurrency exchange comparison on five paramount features of this type of service. We rate exchanges based on the quality of the service they provide, including but not limited to functionality, efficiency, support, and reliability. We determine which exchange is characterized by greater transparency in respect to its operations. We establish the affordability of the services by comparing their fees. Finally, we assess the level of safety provided and the protection ensured by the employment of selected verification methods. The comparison winner is the company which exhibits a higher degree of compliance with our strict criteria.